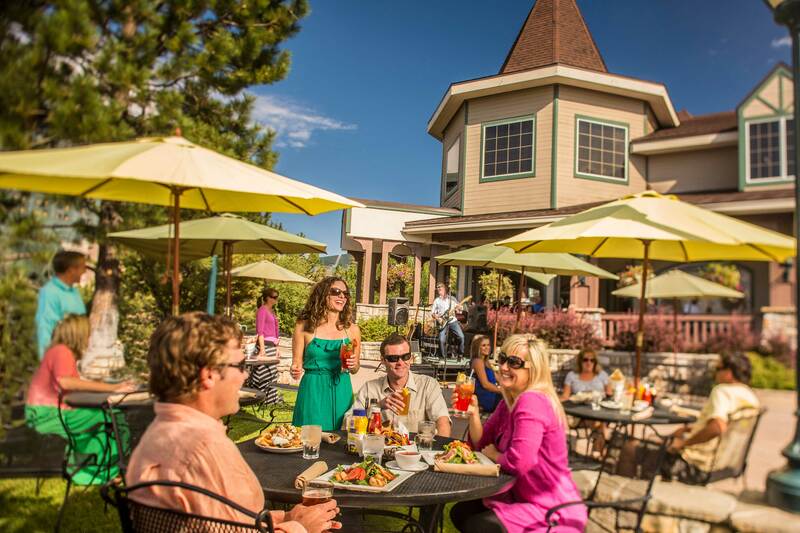 With the beautiful summer weather, it’s time to enjoy some al fresco dining! 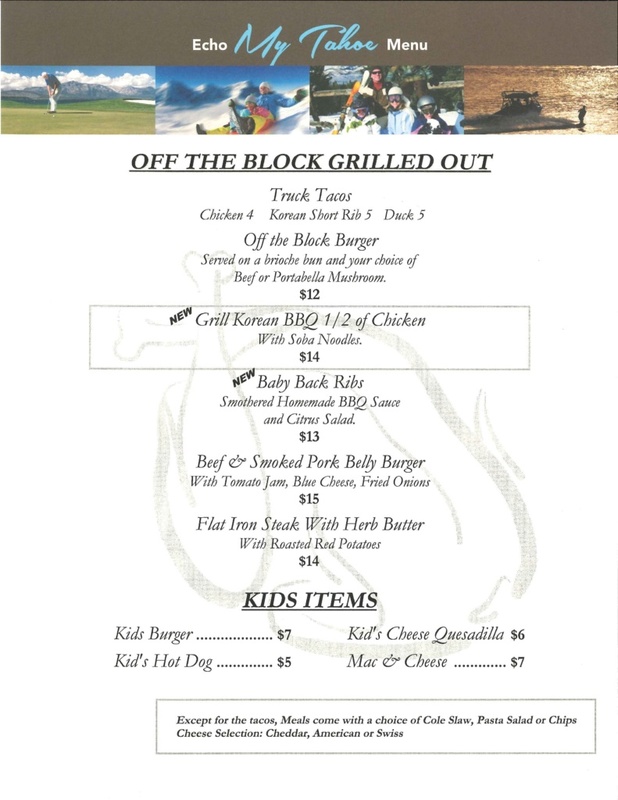 The lower patio is now open Friday, Saturday and Sunday with it’s own special menu, featuring favorites such as tacos, baby back ribs, burgers, and BBQ chicken! The patio is also open on special concert nights midweek and will be open for the 4th of July celebrations too. Check out the menu of offerings at the bottom of this post. 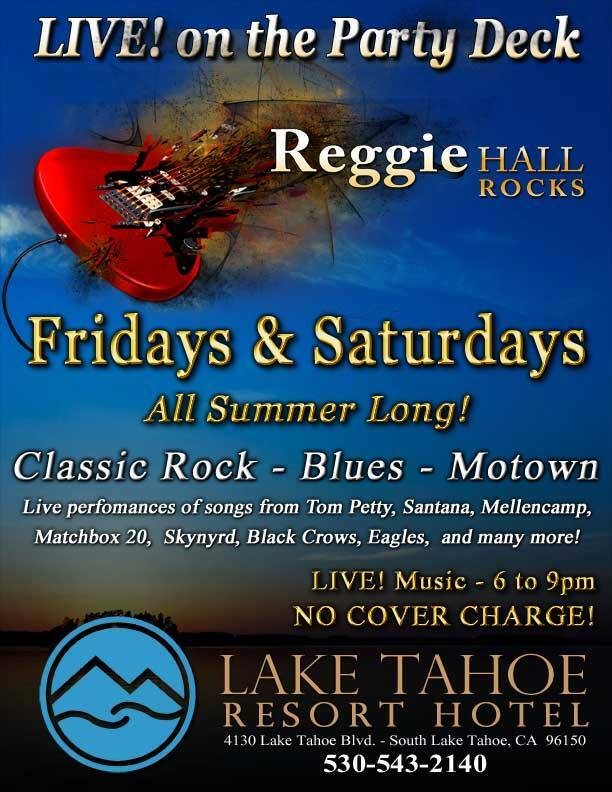 We also feature live music from Reggie Hall every Friday and Saturday evening on the patio from 6 p.m. to 9 p.m..
Echo is now open for breakfast this summer! Join us everyday from 10 a.m. until 2 p.m. for some tasty breakfast options. These will be offered in addition to the regular menu. Enjoy a night under the stars with these incredible musical acts this month! You can catch all of them at the Lake Tahoe Outdoor Arena, just a short walk across the street from the hotel! One of the highlights every summer in Tahoe South is the 4th of July celebration! Named one of the top firework shows in the country, Lights on the Lake is one event you won’t want to miss this summer. With prime viewing available all around South Shore, you won’t need to go far from the hotel to enjoy the show. Or, hang out on the patio and deck at Echo Lounge and watch the display from there! 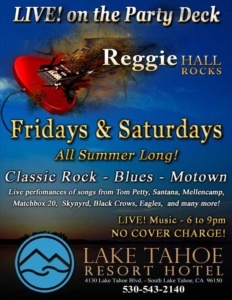 For a full list of viewing areas and information, visit tahoesouth.com. Kick back and relax at the inaugural Lake Tahoe Bluegrass Festival, part of the Base Jam Summer 2015 Outdoor Concert Series! 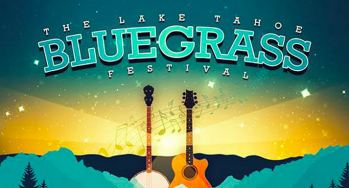 The event will feature Grammy-award winning musicians such as Jerry Douglas’ Earls of Leicester, Greensky Bluegrass, The Dead Winter Carpenters, and more. For information and tickets visit tahoesouth.com. The 26th Annual American Century Championship returns to Edgewood this summer, July 14-19! This event features some of the biggest names in sports and entertainment and this year is no exception with the addition of Grammy Award-Winning musical artist, Justin Timberlake! Other favorites include John Elway, Jerry Rice, Aaron Rodgers, Ray Romano, Jim McMahon, and more! The course is within walking distance of the hotel and tickets are available online or at the gate. For more information visit TahoeCelebrityGolf.com. For additional activity and event recommendations, chat with our friendly team during your stay! As always, the best information resource for booking rooms is on our website attahoeresorthotel.com for safe and secure bookings along with last minute promotional rates and details. Don’t forget to like us on Facebook, join the conversation on Twitter, start planning your vacation on Pinterest, or follow along and share your photos with us on Instagram to stay connected!